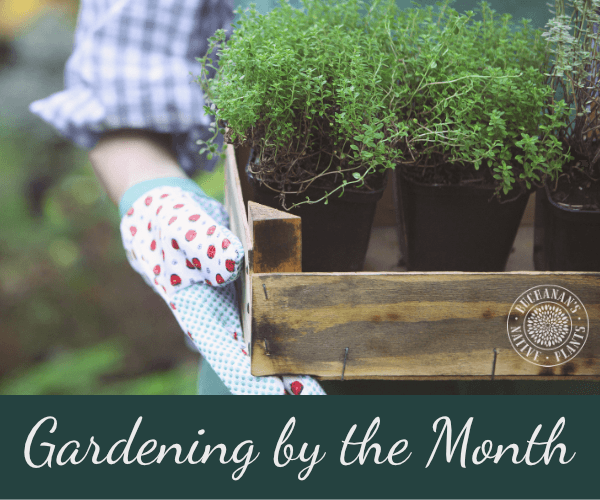 Not sure what to do in the garden this month? Check out our Houston Garden To-Do List. It’s organized by month for easy reference. It’s a Buchanan’s tradition! Come bring the kids and hunt for Easter eggs in our garden! Kids 6 and under please. Easter egg hunts starts promptly at 8:30 am! Eggs will be filled with milk chocolate candy. Earn $1 point for every $20 purchase. Redeem points for up to 50% of your purchase during special redemption periods. Receive our weekly email newsletter with gardening tips and info on specials and events. Exclusive everyday discounts and new specials each month. Exclusive mailings and invitations to special events. Nothing to carry or remember — we can quickly look you up! And points don’t expire. It’s free! Just come in and sign up to start earning rewards today! Celebrate the release of Hilton Carter’s new book Wild at Home with Hilton himself! The event will start with a lecture on how he got started, finding his way via social media and eventually writing a book. He will then discuss the basic 101 of plant care and open it up for Q & A. We’ll end the event with a book signing. Books will be available for sale at the event, so if you haven’t purchased yet or are looking to purchase one for a friend, you’ll have that option! Tickets are $30 + $2.27 service fee and include the class, wine and hors d’oeuvres. Purchase your tickets here!